Features nearly 200 arts and crafts exhibits, five stages with more than 1,000 performers, children’s rides and attractions and more. Starting September 19th, The Great Pumpkin Fest Fall Festival will be held every Saturday and Sunday through Halloween, located inside Carowinds’ Planet Snoopy. 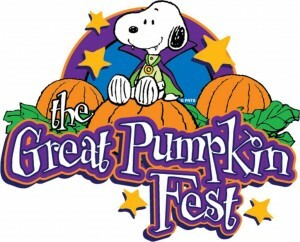 The Great Pumpkin Fest celebrates all the fun of the fall season with costumes, games, hands on activities and Snoopy and his pals giving hugs, high fives, and treats. Great Pumpkin Fest activities are included with the price of daytime admission to Carowinds. The park is open from 10a-5:30p on October Saturdays and Sundays with The Great Pumpkin Fest going from 11a-5p. Starting September 18th, every weekend night, Carowinds transforms into a horror-filled nightmare. From mazes with terrifying creatures around every corner to thrill rides that’ll haunt your dreams, it’s everything you fear and can’t wait to experience. Smarties, we’re talking about SCarowinds’ Halloween Haunt. Recommended for Ages 13 and up. Summary: The USNWC’s 700 acres offers a wide variety of outdoor activities for all ages and skill levels. Guests can enjoy whitewater rafting and kayaking, flatwater kayaking, stand-up paddle boarding, rock climbing, zip lines, ropes courses, a canopy tour, and mountain biking on our 25+ mile trail system. For those looking to kick back, live music and outdoor festivals create a unique atmosphere of relaxation and fun. The River Jam concert series takes place every Thursday and Saturday evening throughout the summer months, in addition to 9 unique festivals held throughout the year. The natural wonders of North America and North Carolina coupled with the rich history of our region are all reflected in The Schiele’s exceptional exhibitions and diverse programming. Whether you’re indoors or out, with the kids or your colleagues, by bringing you a lot closer to nature, The Schiele will bring you a little closer to yourself. Summary: Car lovers rejoice! The world’s largest automotive extravaganza, the Charlotte AutoFair, returns Sept. 24-27, brings together thousands of hotrods, muscle cars, exotic sports cars and classic automobiles. You’ll experience over 7,000 automotive vendor displays, a massive manufacturers’ midway, a kids’ PlayZone, fun fair food and more. There is something for every member of the family to enjoy. 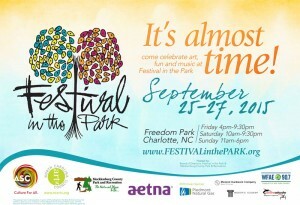 Summary: Children’s activities, bounce houses, games and over 20 of Charlotte’s favorite food trucks. Summary: Every Friday night, Charlotte’s favorite food trucks gather on the lot at the corner of Park and Camden in the Historic South End. These aren’t the roach coaches of yesteryear! The nationwide revolution of the food truck industry has hit Charlotte, and we’ve got an ever-growing community of trucks that cater to your every taste. From burgers to tacos to soul food to cupcakes to ice cream and everything in between…there’s something for everyone. We’re family and dog-friendly, too! So bring a chair, bring a blanket, BYOB, bring the kids, take the dog…it’s a neighborhood night out in a relaxed, casual atmosphere. Summary: Children’s Theatre of Charlotte’s home is ImaginOn: The Joe & Joan Martin Center, an amazing collaborative venture between the Theatre and the Charlotte Mecklenburg Library. It’s an amazing place for families – a really cool children’s library, plus two incredible theatre spaces for our productions, classrooms, computer labs, a Teen Loft and a lot more. Summary: Purchase art, see demonstrations, learn pot turning, listen to live music, eat ice cream ,visit local restaurants, participate in the free hands on children’s art area, a High School Senior art scholarship competition and exhibit. Summary: You can get all the best of the performing arts without buying a plane ticket to the Big Apple! Blumenthal Performing Arts is your source for all the best performing arts events in Charlotte and the Carolinas. Summary: September is Childhood Cancer Awareness Month and Sycamore Brewing has teamed up with the St. Baldricks Foundation to raise money for childhood cancer research. We’re hosting a family fun day on Sunday September 27th from 12noon-3pm with live music, face painting, ice cream, food trucks, kids activities provided by Q4KIDZ Parents Together and of course tasty craft beer! Smarty Giveaway: 2 Family 4-Packs to Carowinds Great Pumpkin Fest, a $200 value! Presenting the 2015 Mother’s Day Giveaway WINNERS!